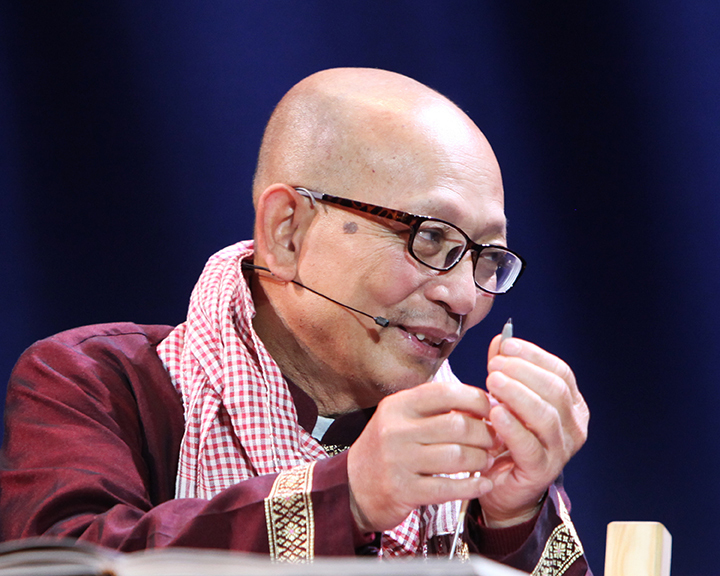 In 1971, Yary Livan began his studies at the Royal University of Fine Arts in Cambodia’s capital, Phnom Penh. He majored in ceramics and painting and focusing on the traditional ceramic forms and ornamentation, which date to the sixth century. Four years later, the Khmer Rouge seized power and began a campaign of genocide that ultimately killed two million people. The Communist group singled out artists and intellectuals. Livan did physical labor on a daily diet of three cups of watery rice and leaves and small snakes and crabs he foraged. He got some relief when, with his mother’s help, he was assigned to build wood-burning kilns to produce roof tiles. “At least I had enough food to eat,” he said. 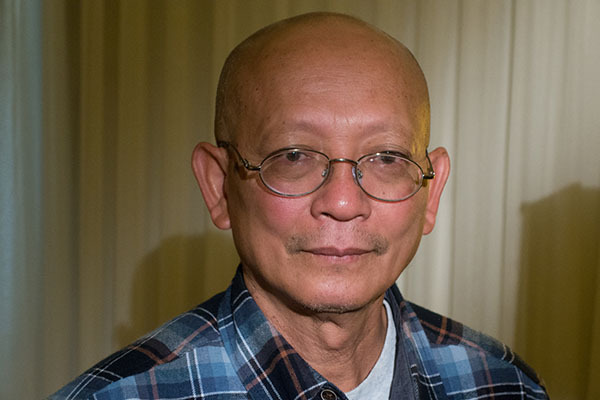 When the Khmer Rouge fell, Livan returned to Phnom Penh to complete his education, but he fled after angering the Communists by refusing an offer to become a party official. In a refugee camp in Thailand with his wife, Nary Tith, and three of their four children, he earned money by secretly teaching others to draw. At night, they slept in a hole to hide from the guards. 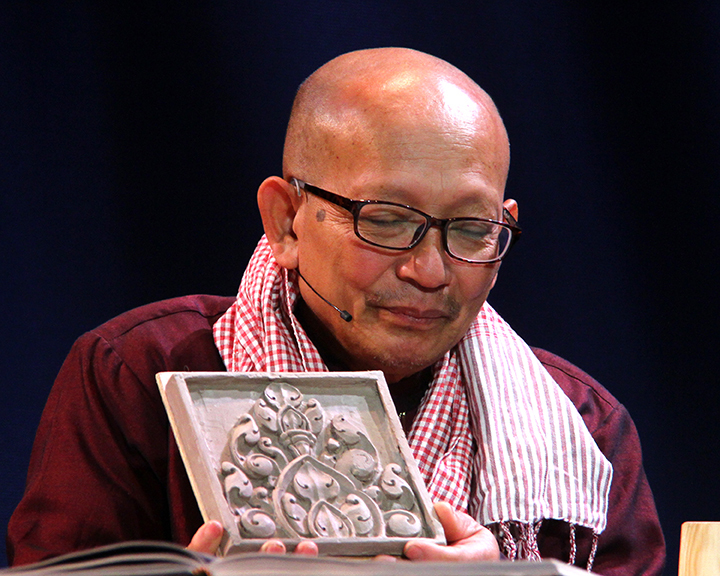 Eventually, he earned refugee status, returned to Cambodia and was granted a U.S. visa. He arrived in the United States in 2001 and was granted political asylum the following year. 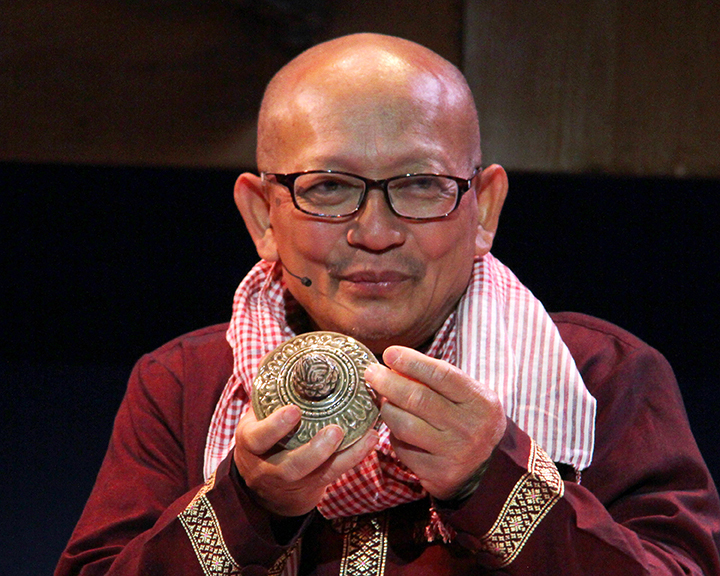 Only three Cambodian master ceramists are known to have survived the genocide, and of those, Livan is the only one known to be living in the United States. In his new hometown, Lowell, Mass., Livan set to work, surviving on odd jobs and practicing his art in his studio, which was described by Maggie Holtzberg, a manager for the Massachusetts Cultural Council’s Folk Arts & Heritage Program: “There wasn’t a staircase down there. There was a hole in the floor — and a ladder — totally precarious.” In 2002, Livan began a three-year residency at Harvard, and the next year, he began teaching at Youth-Art-in-Action, an after-school and summer program for urban youth at the School of the Museum of Fine Arts Boston. 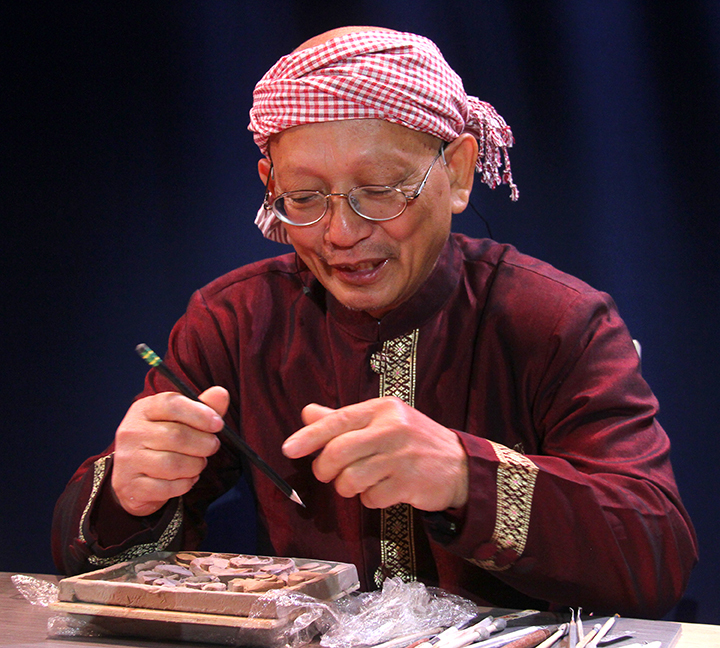 Livan taught traditional Cambodian and contemporary sculpture, including modeling, carving, mold making, and casting. 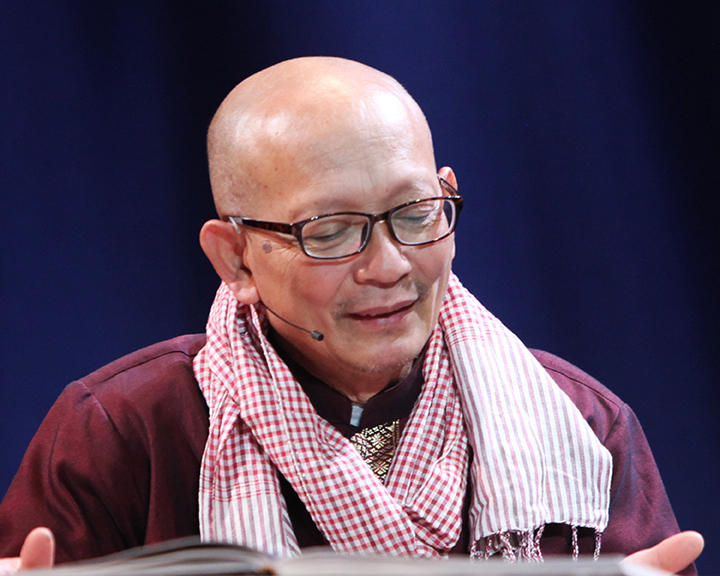 He was co-teaching with founder Margaret Rack when the program achieved the 2005 National Arts and Humanities Youth Program Award (formally known as Coming Up Taller) from the President's Committee on the Arts and the Humanities. Since 2005, he has taught ceramics at Lowell schools. 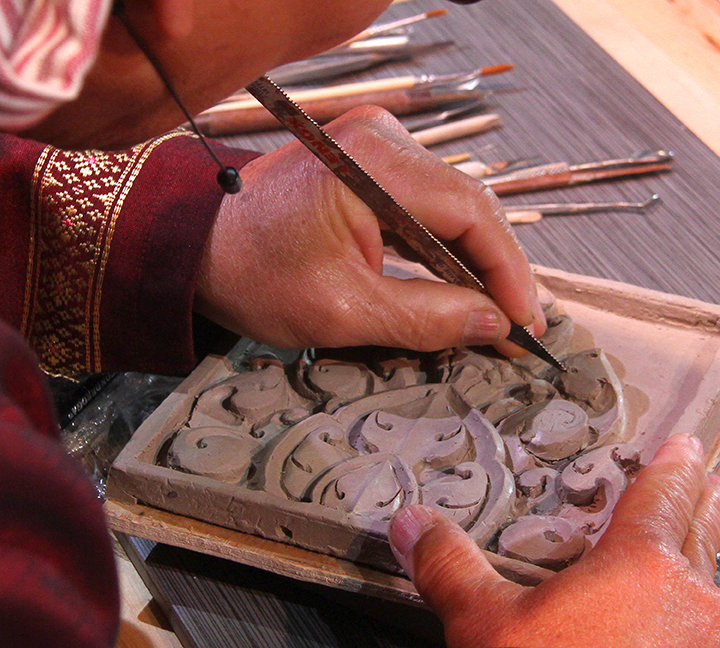 In 2010, he was awarded a Massachusetts Cultural Council Traditional Arts Apprenticeship to teach an architect—Samnang Khoeun—the design, molding, carving, and casting of Cambodian ornaments. In 2012 Livan received a Massachusetts Cultural Council Artist Fellowship and became adjunct professor at Middlesex Community College. 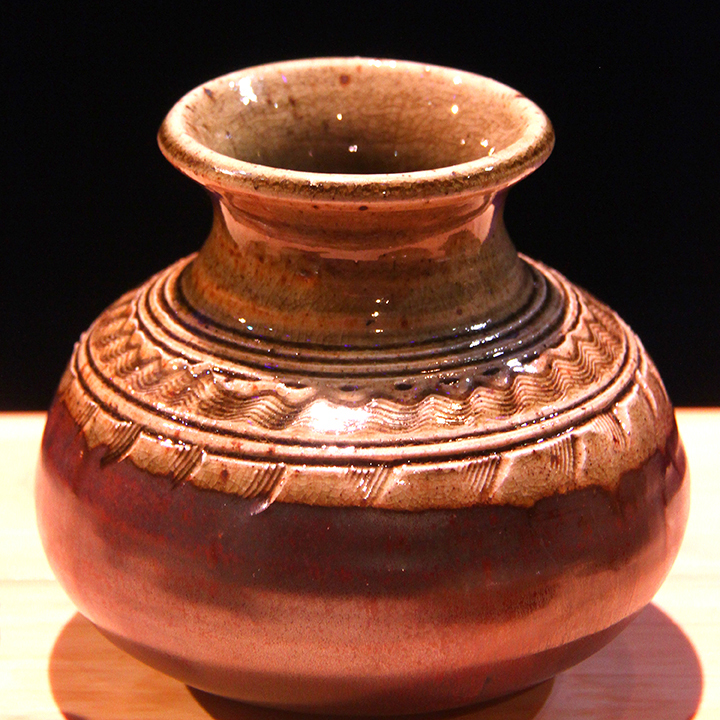 That year, Livan also partnered with friend and fellow master ceramist Kang Proeung to build a wood-fired kiln, using space provided by Lowell National Historic Park in a partnership with Middlesex Community College. 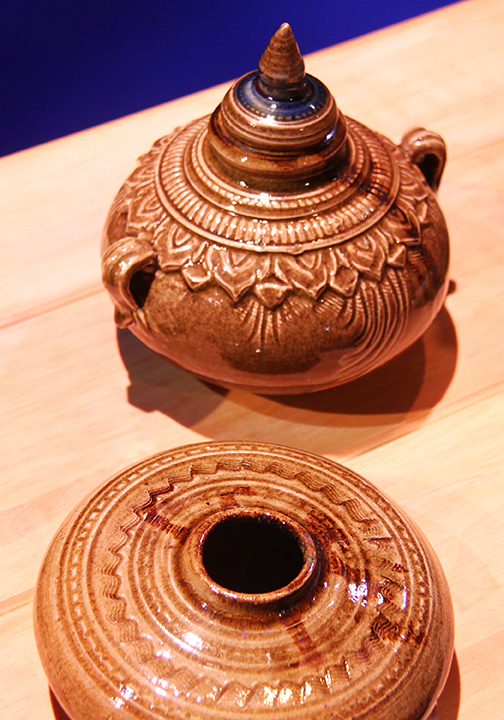 By building the wood-fired kiln, Livan is able to achieve effects not possible in a gas kiln while also sharing the traditional techniques as part of Middlesex Community College courses and the park's public programs. Gay, Malcolm. 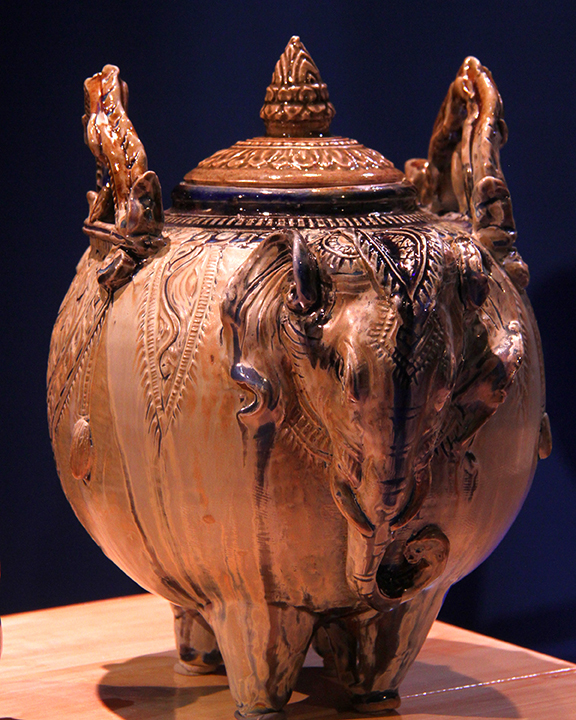 “Cambodian refugee’s ceramic artwork garners honors.” Boston Globe, October 1, 2015. 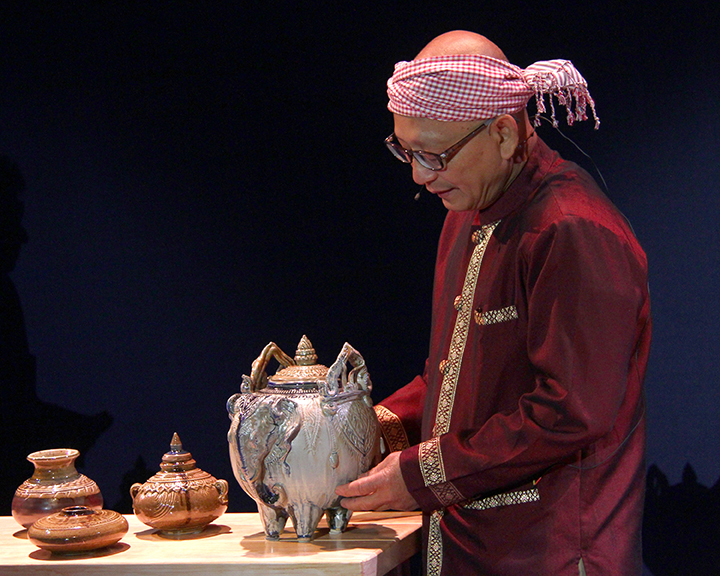 Yary Livan presenting his ceramics at the 2015 National Heritage Fellowship Concert, Washington, D.C., courtesy National Endowment for the Arts. 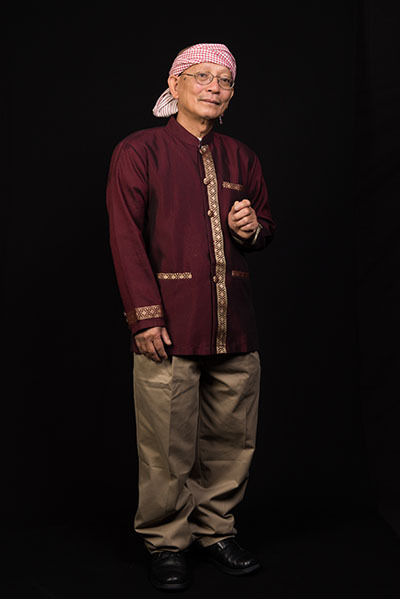 Yary Livan talks about receiving the NHF, interview by Alan Govenar, Washington, D.C., 2015. Yary Livan talks about the process of making his ceramics, interview by Alan Govenar, Washington, D.C., 2015. 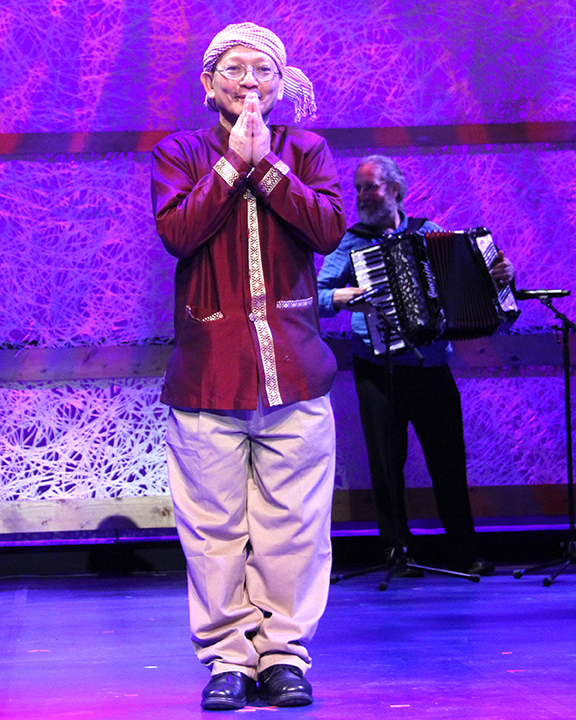 Yary Livan talks about what tradition means to him, interview by Alan Govenar, Washington, D.C., 2015.